By Costa Maragos Posted: March 7, 2017 6:00 a.m. 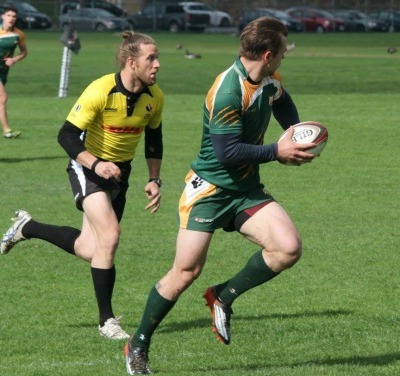 In the land of football and hockey, Saskatchewan is hardly a hotbed for rugby. 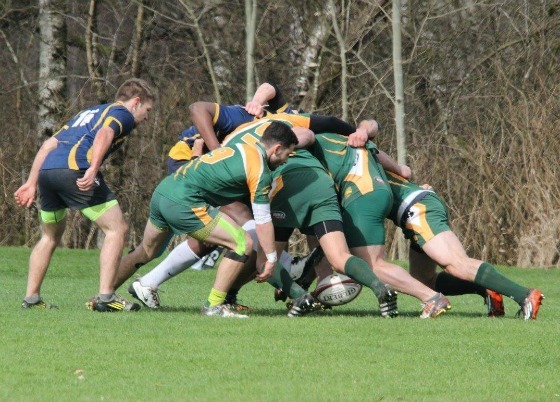 However, the U of R is about to become a leader in a global study of concussions among former rugby players, thanks in part to the research of Dr. Patrick Neary, professor in the Faculty of Kinesiology and Health Studies. Neary is teaming up with Dr. Steve Martin, professor of Exercise Science, Physical & Health Education, and Varsity Doctor at the University of Victoria. Martin and Neary are the only Canadian representatives in the Global Rugby Health Research Programme. The global team includes researchers in New Zealand, the United Kingdom, and Australia. It’s believed this far-reaching examination of concussions among rugby players, is the first research project of its kind. Neary and Martin will examine general health and neurocognitive testing of Canadian retired rugby players and retired non-contact athletes. “The Global Rugby Health Research Programme is a unique opportunity for Canadian rugby and rugby worldwide to assess the effects of concussions in aging athletes,” says Neary. “From this research, we are hopeful that we will contribute to new knowledge that will help to make the sport of rugby in Canada safer for future generations of rugby players." Neary runs the Concussion Testing Centre at the University. For a number of years, his team has been assessing university athletes from numerous sports, and prior to that, Western Hockey League teams have been involved. Last fall concussion testing expanded to include members of the Campbell Collegiate football team. Neary also states that the centre’s research will now be extended to include retired ice hockey and football players. “Then we are able to compare groups of athletes that have sustained concussions in their playing years,” he says. This phase of the rugby research is an expansion of the inaugural New Zealand RugbyHealth Project, led by Professor Patria Hume at the Auckland University of Technology in Australia, World Rugby and New Zealand Rugby. The study explored the long-term health impacts of playing rugby, producing valuable insights for the rugby community. The New Zealand study found that participants from two rugby groups sustained substantially more concussions than the non-contact sport group; 85% of elite rugby players and 77% of community rugby players reported having had at least one concussion, versus 23% of non-contact players. Now the global research team will build on these findings, further assessing the impact of rugby history on general health and cognitive functioning. Directing the global research effort are professor Patria Hume of Auckland (who led the foundation New Zealand study), Dr. Doug King of Auckland and Dr. Karen Hind of Leeds Beckett University in the UK. “We are delighted to announce this important research has been extended to Canada and are really excited to tap into the expertise of professor Neary and Dr. Martin,” says Hind. There is little data in Canada on concussion-related research on rugby players. For those who have played competitive rugby, you are encouraged to be a part of this study. Please contact Dr. Patrick Neary at patrick.neary@uregina.ca or Dr. Steve Martin at semartin@uvic.ca. 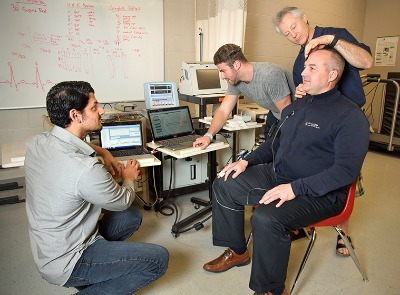 The university’s Concussion Testing Centre is made possible thanks to funding from the Canadian Institutes of Health Research, the Saskatchewan Health Research Foundation and the Natural Sciences and Engineering Research Council of Canada.